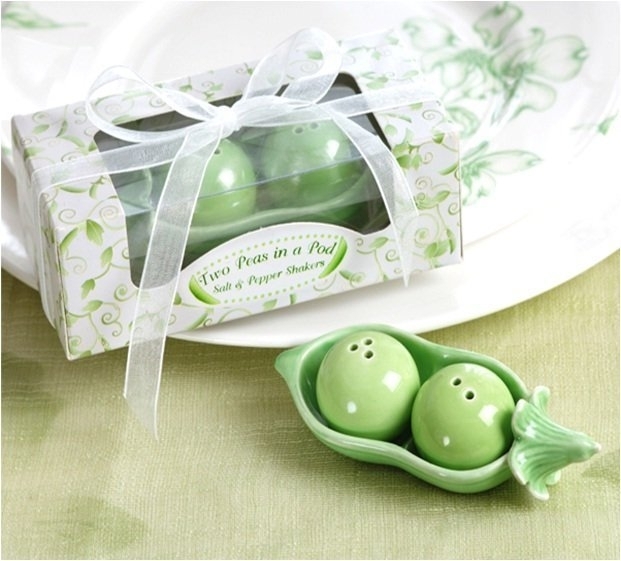 Handpainted in garden greens, this tiny set of ceramic salt and pepper shakers will charm your guests. Each shaker is dainty and detailed and reusable time and again. Add a cheerful touch to your garden party, reception or bridal shower. Guests of all ages will love this sweet little favor! Showcase box frames the clear window with an adorable curling ivy print. Box measures 5 inches long by 2.5 inches wide.